MEBO Research has participated every year since 2012 in the Rare Disease Day event with significant volunteer involvement from our community. Many sufferers wrote their story and posted them in the 'Tell Your Story' Page of the event website, others have done videos, which can be done in any language, i.e., the video below that Cheryl Fields, PhD., MEBO's Community Outreach Director, U.S. In addition, MEBO's Public Relations Director, Karen James, has also spearheaded an organized mass email to key leaders in the UK Medical community. I would love for sufferers to come forward again this year to brainstorm about projects they would like to do for the 2017 Rare Disease Day event. Each sufferer is encouraged to be creative and spearhead his or her own ideas to put them into action on this special day. NORD and EURORDIS have structured a professional platform around the world, and have provided us with great tools to do our presentation, so that charities and foundations can present their case under their "umbrella" of support, which allows for government officials and experts in the medical field to take notice and to take us seriously. This year, perhaps we can do a multilingual raising awareness campaign targeting leaders of the scientific and medical fields in the US, UK, and many more countries who have never heard of TMAU and other similar body and/or breath odor conditions. The beauty of MEBO being an Organization Member of the National Organization for Rare Disorders (NORD) and EURORDIS is that once a year, on Rare Disease Day, NORD and EURORDIS have structured a professional platform around the world, and have provided us with great tools to do our presentation, so that charities and foundations can present their case under their "umbrella" of support, which allows for government officials and experts in the medical field to take notice and to take us seriously. more to come, including the 2017 Handprints Across America design! This is our best opportunity around the world to present our case! MEBO will support any volunteers in their strategy to develop a presentation and to effectively present them either on the 'Tell Your Story' Page of the Rare Disease Day site, i.e., videos, photos, poetry or biography, or to help voluteers physically set up a table at the event of their choice where NORD and EURORDIS will be hold anywhere around the world. Volunteers are invited to represent MEBO in the 2017 Rare Disease Day. 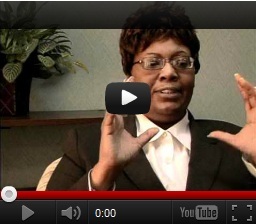 In Cheryl's case in 2012, MEBO raised $200 for her to hire a professional photographer to record her presentation. MEBO arranged for her to go to Washington DC, to the Office of Rare Diseases Research, National Institutes of Health/NCATS, as a table exhibitor for MEBO Research at the NIH Clinical Center. On that table exhibit, Cheryl ran the video she created (below), which received a great deal of attention to those who were there for the event. It was a great raising awareness tool. It was Cheryl's raising awareness efforts that got us in contact with Robert Pleticha, who then invited MEBO and two other TMAU organizations to launch a Trimethylaminuria Community in RareConnect for our international community, which is now available in 8 different languages. 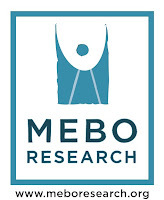 This is such a great network for the MEBO Community. However, it is as good as the degree of creative thinking, initiative, and action taken by sufferers like you and me. We are no different from each other, just common sufferers of a condition we want to find a cure for. Sufferers who are artists or singers around the world, you can draw a painting, write a song, write a poem, or use whatever medium you find best helps you express yourself to raise awareness. Great accomplishments happen when volunteers come forward, brainstorm great ideas for this event and spearhead them in motion. Sufferers who are artists or singers around the world, you can draw a painting, write a song, write a poem, or use whatever medium you find best helps you express yourself to raise awareness. If you need MEBO to help you fund raise for a small amount of money to accomplish this, please let me know.